Malta is making its first-ever appearance at a Winter Olympics thanks to Elise Pellegrin who will figure in alpine skiing competitions in Sochi, Russia this month. The Maltese Olympic Committee (MOC) awarded Pellegrin the country’s only quota place in the Games after collecting enough ranking points from the various competitions she took part in during the build-up to Sochi. Pellegrin was born in the city of Blois in central France. She acquired dual citizenship as her grandfather was born in Malta before moving to France. The 22-year-old will make her first appearance in Sochi on February 18 when she will be at the starting gate for the first run of the giant slalom at the Rhosa Khutor Centre. Three days later, Pellegrin will make her second showing in the women’s slalom. 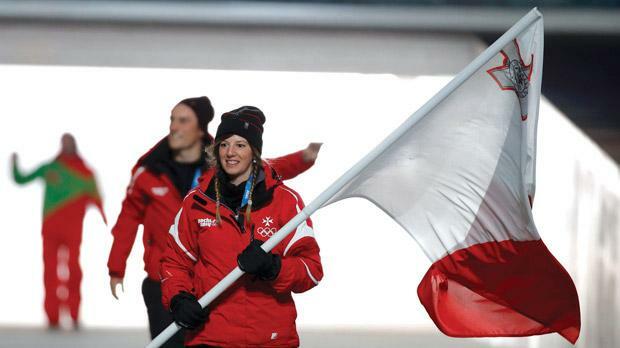 Pellegrin, who carried Malta’s flag at the athletes’ parade in the opening ceremony yesterday, has been an avid skier from a very young age. Her first major success came in 2011 when she won the women’s downhill title at the Champions des Vosges. In Sochi, Malta will be one of 18 countries who will only have one representative in the Games. Pellegrin’s presence will also complete a full line-up of GSSE countries as Andorra, Cyprus, Liechtenstein, Luxembourg, Mona-co, Iceland, Montenegro and San Marino are all involved in the Sochi Games.